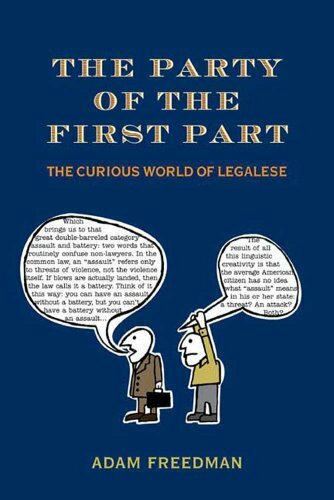 This clever, user-friendly discourse exposes the simple laws lurking behind decorative, unnecessary, and confusing legal language. For better or for worse, the instruction manual for today's world is written by lawyers. Everyone needs to understand this manual--but lawyers persist in writing it in language no one can possibly decipher. Why accuse someone of making "material misstatements of fact," when you could just call them a liar? What's the point of a "last" will and testament if, presumably, every will is your last? Did you know that "law" derives from a Norse term meaning "that which is laid down"? So tell your boss to stop laying down the law--it already is. If you have any questions about this product by Henry Holt and Co., contact us by completing and submitting the form below. If you are looking for a specif part number, please include it with your message.